Apparently, my previous post about holiday parts of speech activities was a hit! Woo hoo! So I’ve decided to make a few more of these little gems. They’re great for reviewing nouns, verbs and adjectives. 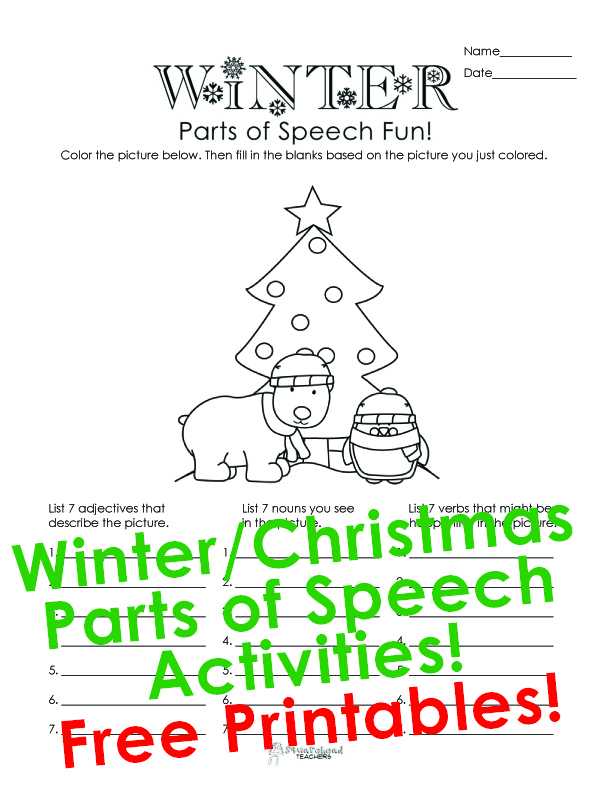 So without further ado, I give you more free printable Christmas/winter parts of speech activities for kids. Happy holidays! Click here for more fun and free holiday activities for elementary school! This entry was posted in Christmas/Winter, Grammar, Holidays/Seasons, Language Arts and tagged Children, Education, Elementary School, Homeschool, Kids, language arts, parts of speech, Teacher Resources, Teachers, Teaching, winter by Squarehead Teachers. Bookmark the permalink.